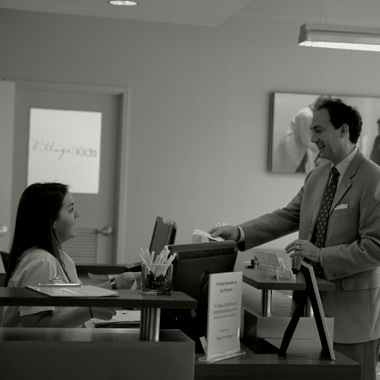 See what our patients have to say about the doctors and services available at Birmingham’s Village Dermatology. Best experience in any office! – Jean W.
As a young lady, I felt very comfortable going in to the office, and during the entirety of my appointment. Amanda was super sweet, and very relatable. I left my appointment feeling reassured and confident. – Mary T.
I was very impressed from start to finish! I was offered an appointment within the week that I called, I was seen on time and efficiently, the office is beautiful and the attention to detail is stunning. I definitely made the right choice! – Erin H.
Pleasant and calming setting, awesome support staff, knowledgeable, caring Dr’s equals an enjoyable visit. – James C.
I was VERY pleased in the time in which I was seen. The wait time was just a few minutes. I was seen AT my appointment time, rarely happens in this day and time. – Letecia B. Warm and friendly environment with professional staff! – Izola N.
Awesome in every way possible! Called the “day of” to see if they could work me in…not only did they work me in, I was in and out of there within 30 minutes. Every staff member was so polite and sweet! Thank you for a great experience! – Kelly S.
Professional office & not a long wait to see the provider. – Barbara W.
Great job! Very professional, very friendly, sought to understand my problem and thoroughly explained the treatment and underlying cause. – Donald B. Professional group! Great group! Ability to meet any needs from poison ivy, suspicious moles, to looking younger! keep it up! – Patricia K.
Quick, courteous, professional care. We learned a lot about the condition he was being seen for. We also were given a clear and thorough course of treatment. – Travis F.